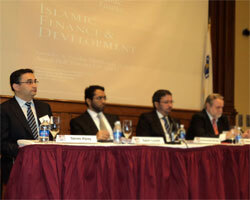 The Tenth Harvard University Forum on Islamic Finance, hosted by Harvard Law School’s Islamic Finance Project (IFP), was held at Harvard Law School in Cambridge, Massachusetts, during March 24-25, 2012, under the theme “Islamic Finance and Development”. 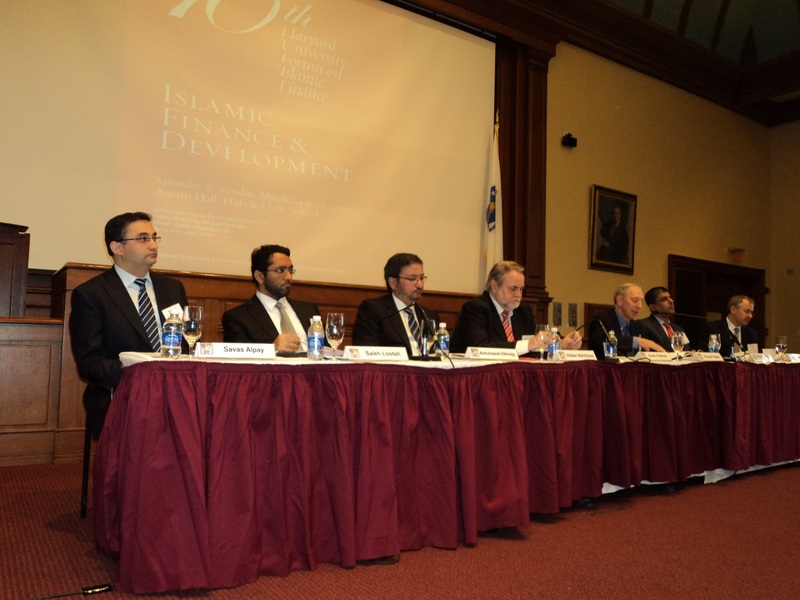 Since 1997, the Harvard University Forum on Islamic Finance has been providing a venue for the critical and objective examination of the purposes, theory, practice, structure, and institutions of the emerging field of Islamic finance. Continuing in this direction, the Tenth Forum has set the evolution of the Islamic financial industry within the context of the economic and political development of Muslim majority markets. 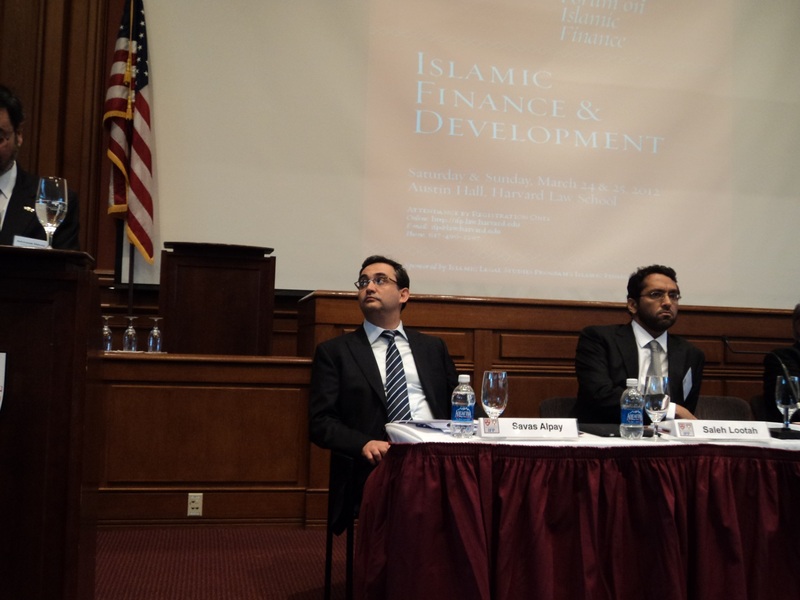 The Forum examined the conventional frameworks under which Islamic finance had developed as well as the new challenges raised by recent events, including the global financial crisis and the “Arab Spring” movements in the Middle East. The Forum was structured around three plenary roundtable discussions and six smaller parallel sessions, and brought together discussants from a carefully selected set of senior scholars, faith leaders, and practitioners. The Forum is tailored to engage diverse perspectives on a common set of questions and ideas, and to generate thought-provoking discussions. Additionally, a number of research papers were presented in various sections from leading academics, legal and shari‘a experts, and practitioners. Dr. Savaş Alpay, Director-General of SESRIC, addressed the Tenth Forum as a plenary speaker in the first roundtable session titled “The Islamic Financial Sector’s Contribution to Global Economic Development”. The Roundtable was chaired by Mr. Samuel L. Hayes, III Professor Emeritus, Harvard Business School, and featured two discussion papers. Authored by Mr. Volker Nienhaus, Visiting Professor at the Reading University, and Mr. Neil Miller, Global Head of Islamic Finance, KPMG, the discussion papers were titled “Islamic Financial Sector: Is it Contributing to Economic Development?” and “The Role of Islamic Finance in Development”, respectively. 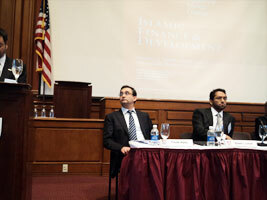 In his address to the Forum, Dr. Alpay stressed that, despite all the criticism that the Islamic finance industry had so far been lacking innovative risk sharing products, the industry had already served a good purpose by mobilizing financial resources of many devout Muslims that would otherwise left hoarded outside the financial sector, thereby increasing the financial inclusion. In terms of the industry’s questioned contribution to economic development, Dr. Alpay argued that the concept of development itself was not easy to quantify and, therefore, even the earlier empirical findings favouring the positive impact of finance on development might have to be revisited. 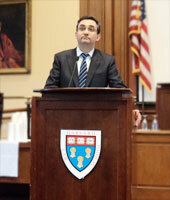 Reiterating the question of whether finance, in any form, can foster economic development or not, Dr. Alpay posited that we should rather ask the question of whether it was possible to have a financial system which would not be flawed by structural weaknesses that lead to financial crises, and thus provide a stable environment for economic development. 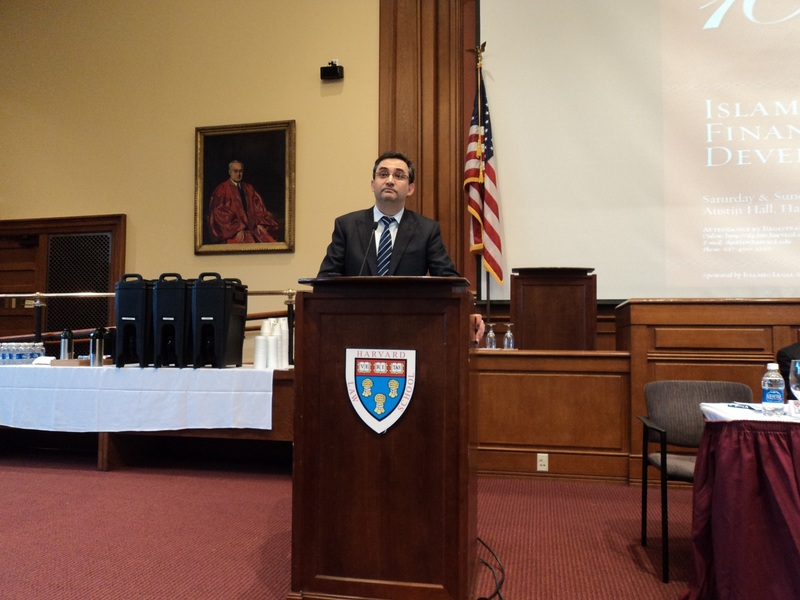 With reference to a quote by the former IMF Managing Director and World Bank Chief Economist Anne Krueger, Dr. Alpay made the case that the existing financial system was prone to financial crises, and therefore it was not possible to avoid their repetition. 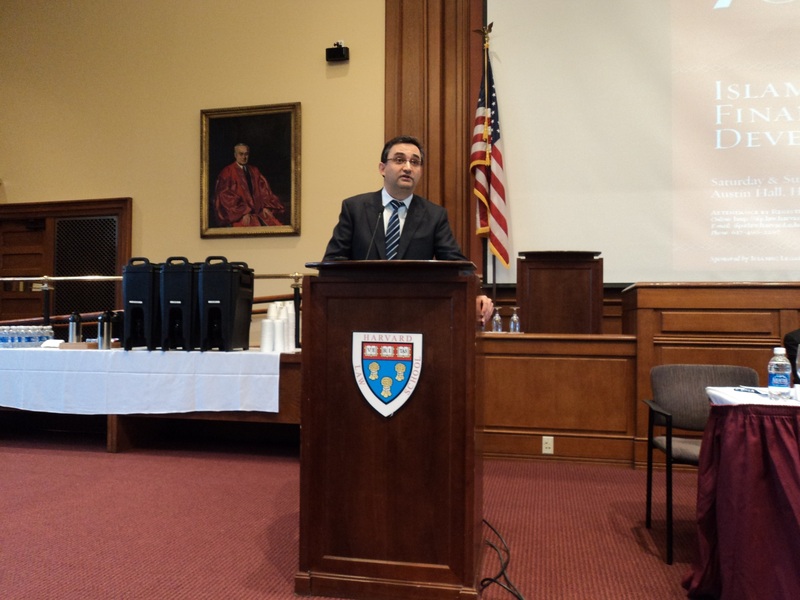 Dr. Alpay also referred to the Islamic teachings of fair competition, interest-free operation, elimination of contractual uncertainty, avoidance of excessive risk-taking, and balance in wealth distribution through a number of ayat and hadith, and emphasized that a financial system based on such principles would certainly be more conducive to development as it would not allow for disruptive financial innovation that would lead to an unstable economic environment. In this context, Dr. Alpay quoted some of the past and recent statements by world renowned intellectuals that indicated danger associated with the uncontrolled system and warned of the devastating socio-economic damages it could generate for the society. The Director-General first referred to Thomas Jefferson, third President of the United States, who had been quoted in 1800s as saying “I sincerely believe that banking establishments are more dangerous than standing armies, and that the principle of spending money to be paid by posterity, under the name of funding, is but swindling futurity on a large scale.” While explaining how the greed for quick profit has gripped much of the business community, he quoted Shoshanna Zuboff, a retired Harvard Business School Professor, who wrote: “Under the flag of “shareholder value,” (a concept honed by HBS faculty and glorified in many of our courses), firms also turned to “financialization,” another specialty of the curriculum. Since the 1980s, goods-producing firms have made more of their revenue and profits from finance than from selling their products.” (Bloomberg Businessweek, July 2009) Finally, the Director-General dwelled on the growing influence of the financial sector on policy-makers by citing a passage from the article “Quiet Corp” authored by Simon Johnson, MIT Professor of Economics and a former IMF Chief Economist: “The crash has laid bare many unpleasant truths about the United States. One of the most alarming is that the finance industry has effectively captured our government—a state of affairs that more typically describes emerging markets, and is at the centre of many emerging-market crises.” (The Atlantic, May 2009) According to Dr. Alpay, all these indicate that the basic function of the financial system is to serve the real economy and therefore the society must make sure that the financial industry is kept regulated in order to avoid any future decouplings from the real economic activity. His comments were very well received by the audience and triggered an interactive dialogue among the panellists. In response to a question raised in the Q&A session, the Director-General also mentioned a recent study by SESRIC, in collaboration with its partners, on microfinance industry and how it could be utilized as a tool for poverty alleviation. Drawing attention to the higher rates charged to the microfinance customers (as compared to a traditional bank loan customer) who are essentially low-income households who do not have access to basic financial services, Dr. Alpay argued that, in its current setting, microfinance was not helping the poor in the best manner, and therefore new microfinance models should be developed. He then noted that SESRIC was currently working with its partners to develop an effective model for the microfinance industry. Throughout the Forum, his remarks on the potential of the microfinance for poverty alleviation in the poor countries and how it had remained unutilized so far were quoted by a number of speakers. The succeeding two plenary sessions deliberated on the role of Islamic finance in the development of SMEs and the prospects for its future success as an alternative economic thinking. For more details, please visit the IFP website.